French police are urging parents to not post photos of their children to Facebook, after a chain-post went viral last month urging parents to share pictures of their kids on the site. The new counter-message (to not share those photos) is being circulated for a couple of reasons: If photos are shared publicly rather than just with friends, authorities say there's a chance sexual predators could get the pictures. But also because when the children grow up, they could take legal action against their parents — all because of some photos shared online. That's right. The Verge reports, "One French expert says parents may even face future lawsuits from their children for violating their privacy." But, hold on a sec. 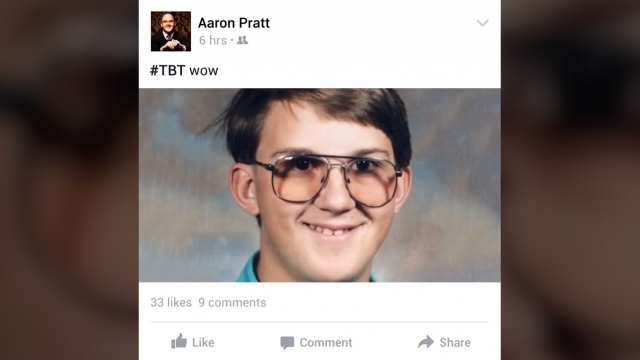 Even if you had old embarrassing photos of yourself posted to Facebook, that's no reason to sue mom or dad. Future adults, here's another way to get rid of those humiliating photos that your parents posted on Facebook. Call mom or dad and ask them to take down the photo nicely. If that doesn't work, click the small arrow pointing down on the top right of the post and tell Facebook how you feel about the image. The site might take it down. France's National Commission for Computing and Liberties also had some tips for current parents. Here's the short version: Use Facebook's privacy controls and don't share private photos with a public audience.